Fix – Transform – Innovate! This is what we want to achieve with the new Group strategy. The key to company success lies in a Group-wide company culture that is characterized by integrity, ethics and personal responsibility. The ethical requirements that pertain to business operations and the workplace are becoming increasingly complex. 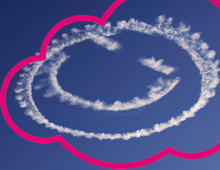 Our Code of Conduct is the framework that guides the behaviour of all people in the Deutsche Telekom Group. The Code of Conduct links our own respect for laws and regulations to particular requirements regarding ethical behaviour and with the five Guiding Principles that enable our success in business. We demand it from ourselves and promise it to those outside the enterprise. Our Code of Conduct is dynamic; it is not closed off to new behavioural norms. Legal norms can transform over time, and new regulations can serve to clearly define behavioural requirements. Being part of the Deutsche Telekom Group and sharing its identity requires that each and every individual accepts responsibility. We are aware that a single incident of misconduct can damage not only our success, but also the reputation that the company has acquired through the commitment demonstrated by our people on a daily basis. We have to adhere to behavioural standards. Misconduct will therefore not be tolerated.